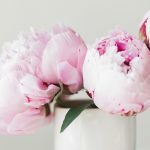 This is the third holiday gift guide I’ve compiled since starting this blog, and every year there are more and more lovely natural gifts to choose from. 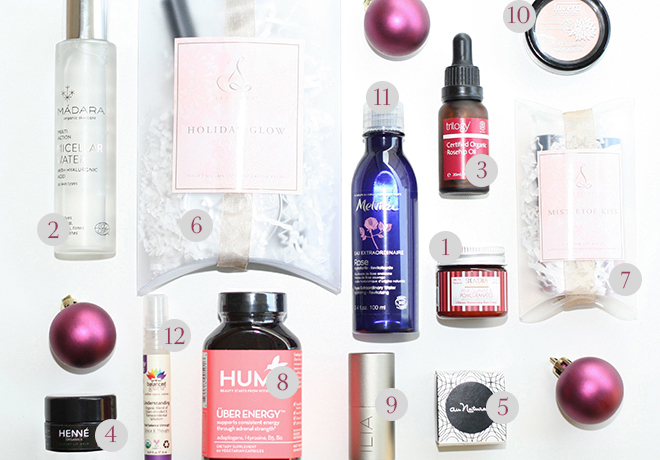 These last few years, organic beauty brands started offering items, especially for Christmas to help us with a stress-free and simple gift finding. 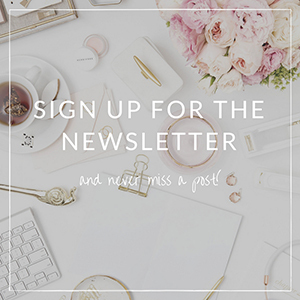 Anyway, this gift guide “Gift Ideas For Every Girl” is a bit different than my previously posted guides, because instead of a few guides, I decided to create one with items that I would personally recommend. 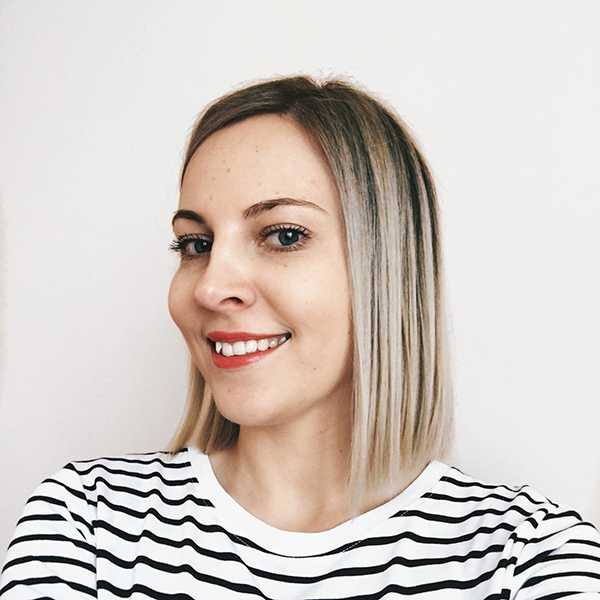 All of these items I’ve tried and enjoyed using myself or I’m going to be gifting them to my friends (so if you’re one of them, close your eyes and click away!). Nathalie Bond Small Candle Orange + Clove* – Nathalie Bond is a small UK-based company, which creates lovely natural beauty products such as vegan natural wax candles, lip balms, and handmade soaps. 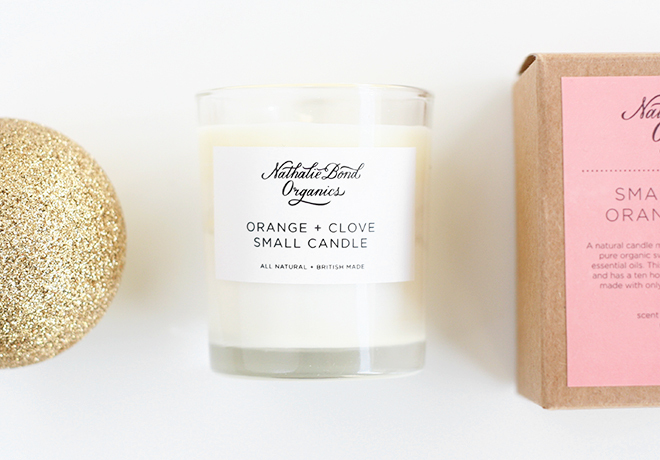 The Orange + Clove candle has a spicy citrus scent and is perfect as a gift or a stocking filler. Beauty By Earth Lip Balm Gift Set* – what a fantastic stocking filler pack! Contains twelve organic lip balms: peppermint, honey, vanilla bean, green tea, acai berry, Asian pear, and pomegranate flavors. M&S Alcohol-Free Christmas Pudding – or any Christmas pudding for that matter. A DIY Christmas pudding is even better if you’re crafty! The reason why I like M&S puddings is that, though not organic, they are super delicious. And the pretty packaging doesn’t hurt too. 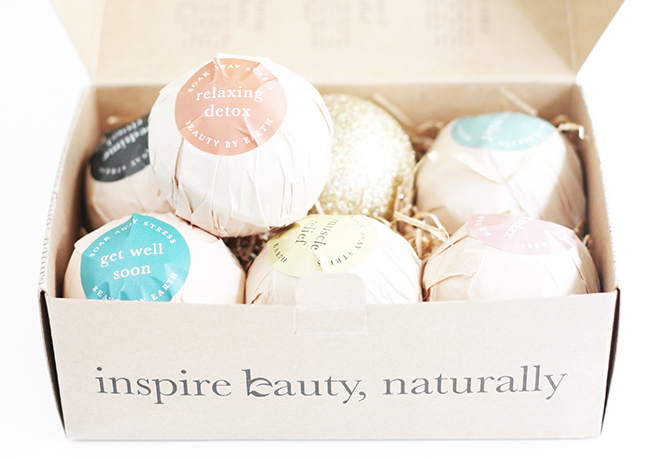 Beauty By Earth Natural Bath Bomb Kit* – for all of those (including me) who thought that gifting a bath bomb set is kind of lame, this kit will make us feel ashamed of such thinking. I am so obsessed with this rustic, eco packaging. There are six bath fizzes for every mood and purpose: Relaxing Detox, Get Well Soon, Joint Relief, Muscle Relief, Bedtime Ritual, and Just Relax. Awesome choice for that always tense workaholic friend or someone who cherish their bath time a lot. 1. Shea Terra Organics Mini Shea Whippers – mini body lotions made with organic whipped shea butter makes a perfect stocking filler or just a cute small gift for a loved one. You can choose from nine flavors: mango, marula, bourbon vanilla, white chocolate, and other. 2. Madara Micellar Water with Hyaluronic Acid – because every girl needs a bottle of natural micellar water in her life! This product is one of my best discoveries this year, and because it’s suitable for all skin types, even the sensitive, it makes a good gift for a beauty/skincare fan. And you can’t beat that winter-y packaging! 3. Trilogy Certified Organic Rosehip Oil – for your mom, for your grandmother or your best friend. A luxurious miracle worker. 4. HENNE Organic Lip Balm* – I had to include this luxurious lip balm to the holiday gift guide because it’s something I’d be over the moon to receive as a gift (though, I did, so thanks, Laura!). Crafted with certified organic ingredients, this balm leaves the lips soft and beautiful. 5. Au Naturale Cream Eyeshadow in Palma – Au Naturale creates the best quality makeup product. I LOVE this stunning beige color with shimmer that flatters all skin tones. Because every girl needs some sparkle in her life. 6. L’eclisse Holiday Glow Gift Set* – an eco-luxe gift set filled with makeup – don’t think there’s a gift better than this. 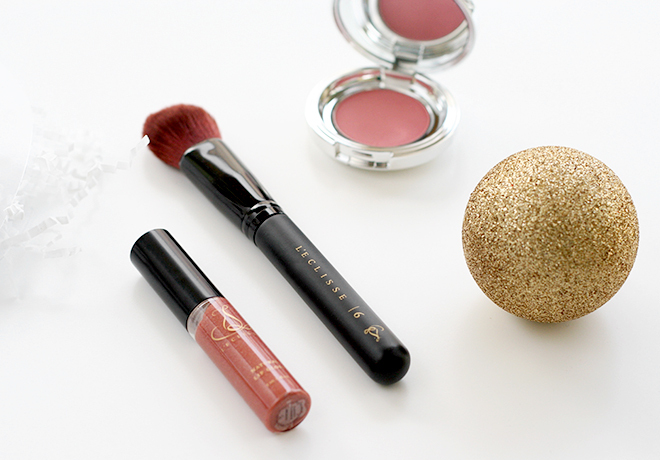 Includes pressed mineral blush, vegan rounded-top blush brush, and natural shimmering lip gloss. Perfect for everyday wear or holiday festivities. 7. L’eclisse Mistletoe Kiss Sticking Stuffer* – this is one of my favorite gift choices – a set of neutral shade natural lip glosses. Give it as one gift or split the glosses to gift your closest friends. 8. HUM Uber Energy Supplements – fights fatigue and helps to deal with stress. I’m a big fan of HUM Nutrition and its products, so this supplement HAD to make it to the list. Who doesn’t need some extra energy boost, right? 9. ILIA Polka Dots & Moonbeams Illuminator – a luxurious gift for someone who appreciates quality makeup. This Illuminator is probably one of the best-seller products from ILIA Beauty. It gives a subtle and beautiful glow to any skin tone without looking too sparkly. 10. Lavera Organic Cream Highlighter – two shades to choose from shining pearl for cool skin tones and golden shine for warm skin tones. Because of its packaging, quality, and price, it is well worth to make it to this “gift list”. 11. Melvita Extraordinary Rose Water1 – an extraordinary rose water for the extraordinary person in your life. 12. Balanced Guru Mists – these powerful and unique blends of essential oils from Balanced Guru are great as stocking fillers. Choose from Understanding, Intuition, Truthful, Empowering, Fearless, Full Of Love, and Guilt-Free. I’m glad you like the post, Meredith! lovely gift picks! I love that rosehip oil from Trilogy! Thank you, Tianna. I’m glad you like these picks! The Steamers look lovely, Theresia. Thanks for stopping by!